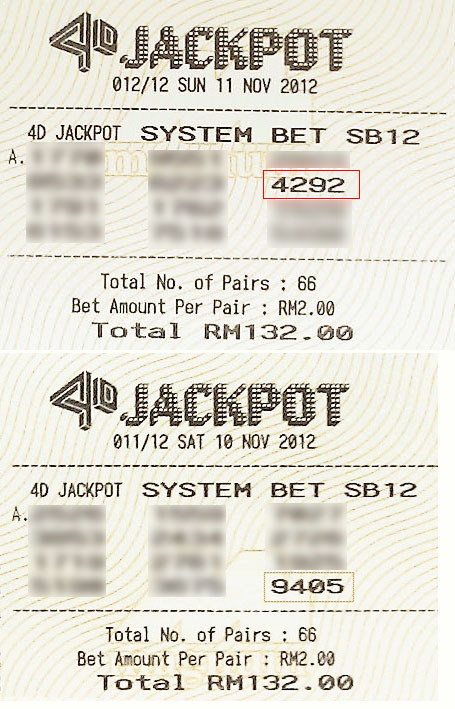 For the last two draws, we manage to capture direct hit from our 4D Jackpot pooling team. It is not by luck or coincident that we strike the direct, it require a lot effort in analysing the possible group of numbers to play. Even though we did not hit the Jackpot prize, we have proven, this method of pooling really will enhance the chances of winning the Jackpot. Now the Jackpot 1 prize is snowball to RM15 million ringgit. Join our pooling team as soon as possible to stand a better chances of winning, and share the big winning prizes. Signup at Pooling for this 17 and 18 Nov draws or call 92300837 to know more.